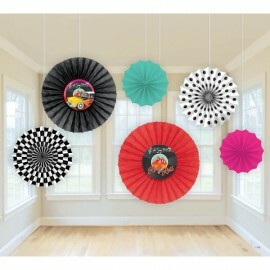 Classic 50's Printed Paper Fans 2 x 40.6cm Fans, 2 x 30.4cm Fans & 2 x 20.3cm Fans. 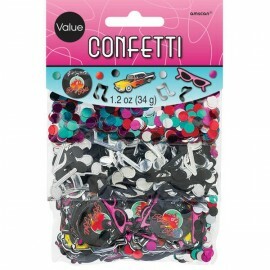 Includes strings. 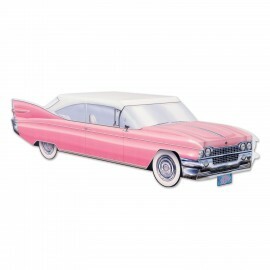 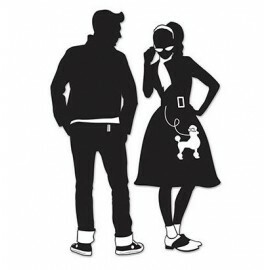 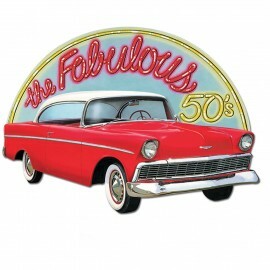 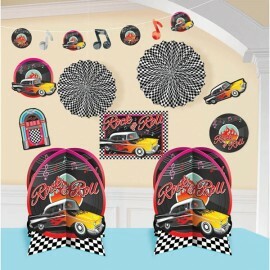 Pack of 6..
Classic 50's Room Decorating Kit Contains 1 x 3 metre long garland, 2 x 25.4cm Centrepieces, 2 x 30.4cm Paper Fan Decorations, 4 x 25.4cm Cutouts & 1 x 35.5cm Cutout. 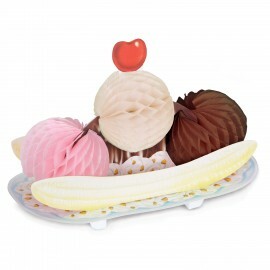 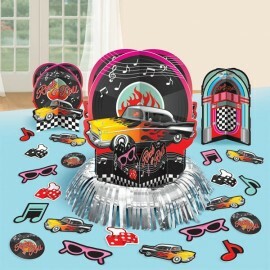 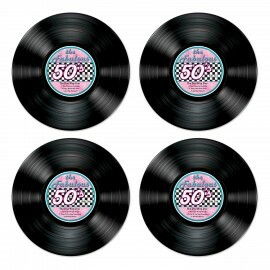 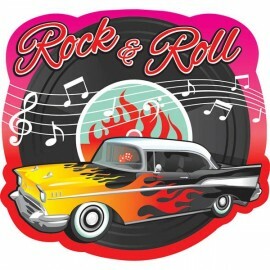 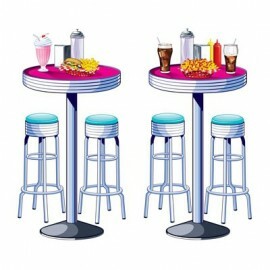 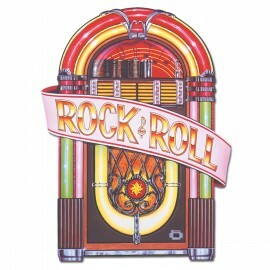 Each..
Classic 50's Table Decorating Kit (Contains 1 x 31cm Centrepiece, 2 x 15cm Centrepieces, 20 x 5cm Confetti Pieces) Each..
Classic 50's Value Pack Confetti (Contains 3 different types) 34 Grams..
Cutout Jukebox Rock & Roll Printed Both Sides 87cm x 59cm Cardboard Folded in Half (Not suitable for Express Post due to Size Each..
Cutout Props Soda Shop Tables & Stools (160cm) Pack of 2..
Cutout The Fabulous 50's & Classic Car Design 60cm x 42cm Cardboard Printed Both Sides Each..
Cutouts Records The Fabulous 50's 35cm Cardboard Printed Both Sides Pack of 4.. 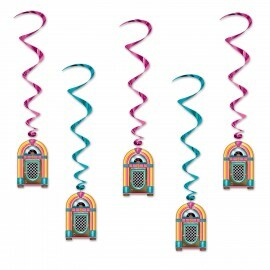 Hanging Decoration Whirls Jukeboxes Foils Swirls & Assorted Cardboard Cutouts Printed Both Sides Pack of 5.. 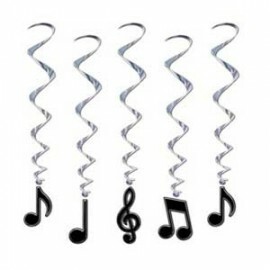 Hanging Decoration Whirls Music Notes (Approx 90cm Drop) Pack of 5.. 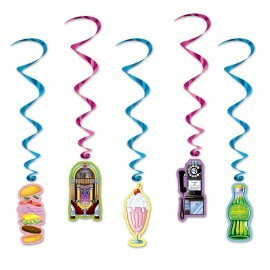 Hanging Decoration Whirls Soda Shop Foils Swirls & Assorted Cardboard Cutouts Printed Both Sides Pack of 5..